The royal wedding is expected to give the British economy a push of USD 1.4 billion. What's common between the royal family and say Dunkin' Donuts or Burger King? They are all celebrating the royal wedding! Okay, it might be a terrible joke but it is also a fact. The entire England is celebrating the royal wedding of Prince Harry and actress Meghan Markle that's going to take place on May 19. 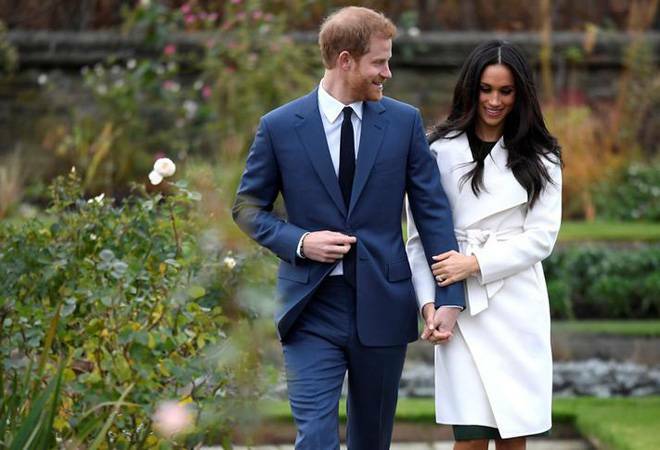 From TV channels televising the events to hotels rolling out special offers to couples, from launching a royal wedding donut to bakeries offering a taste of Harry and Meghan's wedding cake, the country seems to have plunged into a fair of sorts. Not only because all these companies have gotten soft at the royal couple's love story - the wedding is actually expected to give the British economy a push of $1.4 billion. And right now seems to be the perfect time to bite into that delicious pie. After Prince Harry and Meghan Markle's vows, British Airways will operate a flight from Heathrow to Toronto that will be manned by a crew of Harrys and Meg(h)ans. Flight BA93 will take off to Toronto, where the couple's relationship took off. The 10-strong cabin crew will consist of two Harrys, seven Megans and one Meghan. The flight will depart Heathrow at 1:10 pm, an hour after the royal couple take their vows at Windsor Castle that is seven miles from the airport. Moreover, any traveller called Harry, Meghan or Megan and their companions departing from Terminal 5 on the big day will be invited to use British Airways' First lounge, accessed through the exclusive First Wing. To add to that, individual lemon and elderflower Victoria sponges, the same flavour as the royal couple's wedding cake will be given to customers departing from Heathrow on that day. Burger King is offering a limited-edition royal wedding-themed sandwich that will be available across the country's outlets till Sunday. The sandwich includes a piece of bread-crumbed chicken and iceberg lettuce, along with barbecue sauce and two onion rings - to signify the wedding ceremony. This sandwich costs $2.68 or Rs 181. Ritz Carlton Washington DC is not only hosting a royal wedding-watching party on May 19, it is also offering a royal wedding experience that is reported to be fit for a princess in exchange for a cool $1 million. So what's so special about this experience? The wedding planning will be designed by Amal Zaari who will replicate the details of the royal wedding. The package includes a flight to New York on a private jet for a custom made bridal gown by Romona Keveza, wedding dress fittings with bridal experts, custom wedding rings, the Ritz Carlton's Grand Ballroom transforming into a Windsor Castle-style setting, two nights in the Ritz Carlton Suite, and a two-week honeymoon on one of Ritz Carlton Yacht Collection ships in the Mediterranean. Sounds pretty royal, if you ask us. Dunkin' Donuts is known for offering special donuts during festivals. The royal wedding, to be fair, is nothing short of one. So, to keep up with its tradition, the donut company is offering Royal Love donut as a nod to the royal nuptials. The donut is heart-shaped, with a filling of jelly and is topped with chocolate icing and strawberry drizzle. The special donut will be available till May 20 across participating outlets in the country. Atlantis, The Palm in Dubai is offering a brunch prepared by Gordon Ramsay's restaurant Bread Street Kitchen & Bar to mark the royal wedding. On offer will be a British fare, wedding cake and beverages. Some of the restaurant's signature dishes like mini roast beef and Yorkshire pudding, wagyu sliders, tamarind spiced chicken wings and tuna tartare will be on the menu. The Beefeater Lounge at the Atlantis will also award the best-dressed couple and individual. Television giant, Sky, is offering a discount of 50% on 43" LG Ultra HD TV so that people could spruce up their royal wedding-watching experience. Sky would also be live telecasting the wedding ceremony in Ultra HD. However, buyers will also have to purchase the entire Sky Q experience along with the TV. When Burger King and Dunkin' Donuts have jumped in, how can KFC stay away from this celebration? So, it is giving 50 'specially designed buckets' at their Dedworth Road outlet. "When we discovered Prince Harry proposed over a roast chicken, we simply had to show our support for the big occasion. We're preparing for a rush on orders next Saturday as the people of Windsor flock to our Dedworth Road restaurant to get their hands on this priceless piece of British history," a KFC spokesperson said, according to Business Insider. What's the relation between Chili's and fashion accessories, you ask? None, really. Although the connection here might seem a bit farfetched, it is the one they are going with. Chili's is giving away food-themed fascinators and cufflinks to celebrate the royal wedding. In a statement, Chili's said, "You're probably wondering 'Why? Why did Chili's create burger, rib, fajita and margarita-inspired fascinators and cufflinks?' Well, because - 'Why not?'"